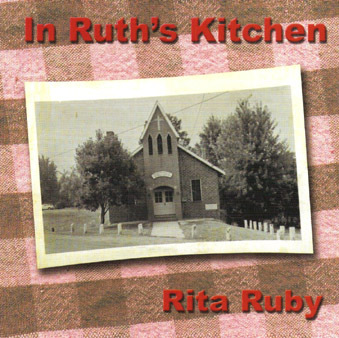 When I was a child, singing church songs was a great source of comfort and happiness for me, especially when I was singing them in the kitchen of my grandmother, Ruth Nelson. My mother's mother, she was a strong, life-affirming woman, and her kitchen was the center of her world. There she consoled us, corrected us and she cooked for us. There too I sang, often with Joy, my aunt, while we washed the dishes or just passed the time. The songs themselves we learned in the rural churches we attended. They remain the songs that are closest to my heart. A listing of the songs on the CD, with a couple of samples to listen to. Is That The Old Ship Of Zion I See? Of course you want a copy of the CD for yourself! If you're in Chicago, it is available at the Different Strummer/Old Town School (4544 N. Lincoln) and at Covenant Bookstore (3200 W. Foster) and in Evanston at Guitar Works (709 main). ask for it! Online, and a click away, the CD is available at CD Baby.